Zirconium is a high-performance material, which has been used successfully since the seventies for orthopaedic purposes, i.e. for artificial limbs and joints. 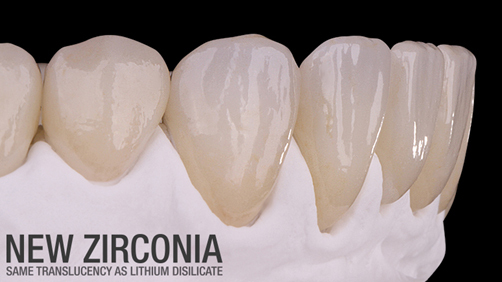 Zirconium is used in the dental technical field to implement almost all types of dental restorations. It is made of raw mineral materials, such as zirconium sand, chemically manufactured, partially stabilized with yttrium, and converted by mechanical procedures into zirconia blocks. 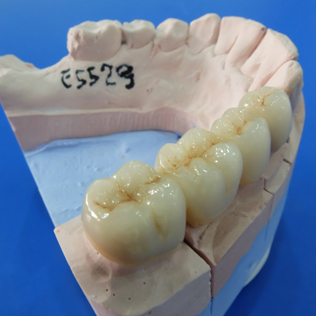 Due to its excellent biological characteristics, Zirconium is nowadays the preferred material for dental restorations. Tests revealed that in case of the use of zirconia no allergic reactions in the oral cavity area are to be expected in the mouth area. In case of correct constructions, ﬁrmness is given even after 50 years. Almost any kind of dental restoration is possible in zirconia. It is possible to make bridges of all sizes, cemented or screwed, also implant superstructures can be realized with this material. Among the dental ceramic materials available today, zirconium oxide partially stabilized with yttrium is undisputedly the substance displaying the highest flexural and tensile strength. Our material, Zirkonzahn made in Italy, has bending strength values of over 1400 MPa, a Vickers hardness of 1250, a density in the sintered condition of 6.05 g/cm3 and a Weibull module of > 12. The material facilitates and enables the production of aesthetical, high-quality dental prosthesis which, in addition, stands out by perfectly fitting, by its strength and fracture resistance. 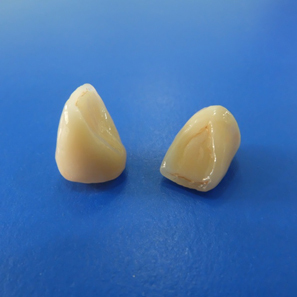 The zirconia blocks are manufactured according to a biaxial compression moulding procedure, by which the same pressure is applied above and below, so that shrinking can be checked exactly. At our lab, you can choose between zirconia crown made by manual milling system or CAD/CAM technology. 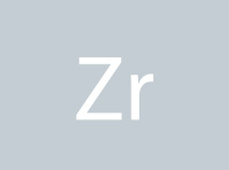 Zirconium (ZrSiO4) belongs to the mineral group of silicates and was discovered in 1789 by the German chemist M. H. Klaproth. Zirconium dioxide (zirconia ZrO2) is a natural compound of the element zirconium which occurs in nature. It has been used in dentistry for up to 15 years. Zirkonzahn zirconia is partially stabilized with yttrium and enriched with aluminium. 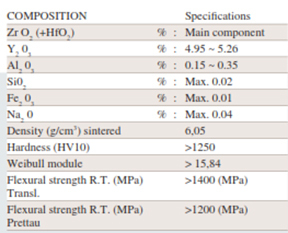 This process lends the material the desired characteristics of high ﬂ exural strength (> 1400 MPa), hardness (1200 HV) and a Weibull modulus of 15.84. A reoccurring issue in our professional circles is the question whether solid, full-contour Zirconia crowns are at all indicated in the view of aesthetics, abrasion characteristics, compatibility and strength. Zirkonzahn has developed the highly translucent Prettau® Zirconia which is used in conjunction with a specialized colouring technique that eliminates the use of veneer ceramics entirely. In this way, aesthetically pleasing Full-Zirconia (FZ) restorations, i.e. monolithic, can be realized. Especially in the field of implant dentistry, in cases of limited available space or bruxism or restorations with tissue flanges, full zirconia comes into use. One of the many advantages is the complete elimination of posterior occlusal chipping because only the labial or buccal surfaces are porcelain veneered; all functional areas are maintained as solid monolithic zirconia. 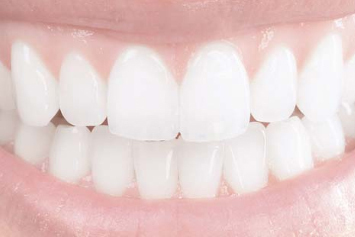 Prettau® Anterior® is a new and highly biocompatible zirconia material from Zirkonzahn. Due to its high translucency it is ideally suited for use in the anterior tooth region and hence offers an ideal alternative to lithium disilicate. 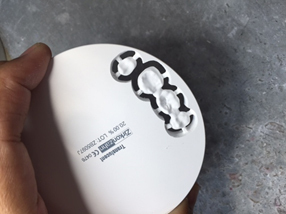 It can be made full contoured or reduced structures for ceramic layering. Two studies conducted at the University of Pennsylvania, USA, confirm the bending strength of 670 MPa as well as no deterioration of the material.